Build fire alarm or fire detector using Flame sensor and Arduino board, the sensor basically detects IR (Infra Red) light wavelength between 760 nm – 1100 nm (nano meter) that is emitted from fire flame. Most of the flame sensors came with YG1006 sensor which is a high speed and high sensitive NPN silicon photo transistor. The flame sensors available in the market with two categories one is having three pins (D0, Gnd, Vcc) and second one is having four pins (A0, D0, Gnd, Vcc) both are can be easily interfaced with Arduino and arduino compatible boards. D0 – Give Zero output for nothing detected and One for a +Ve detection. 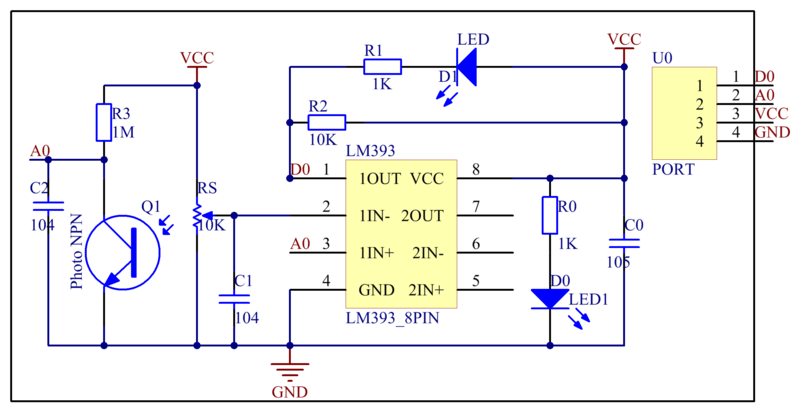 A0 – Give values in range representing the flame probability/size/distance and must be connected to the PWM input of microcontroller. 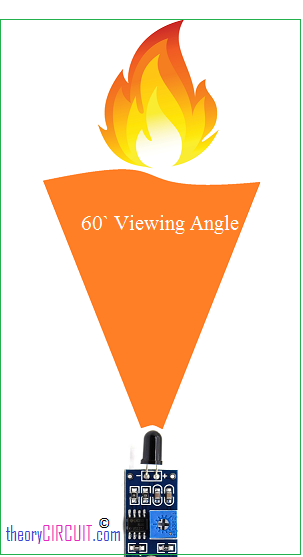 Make little experiment to test the angle of sensitivity for your flame sensor, to find the exact active vision range and angle. 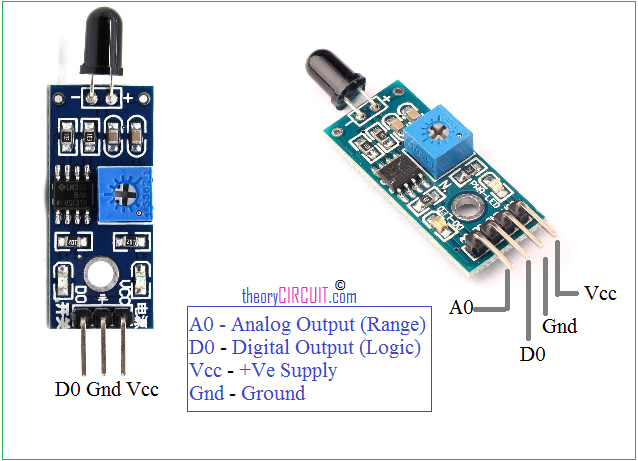 By connecting sensor output pins with multimeter and showing towards flame with different angle and distance gives you describable details about viewing angle. 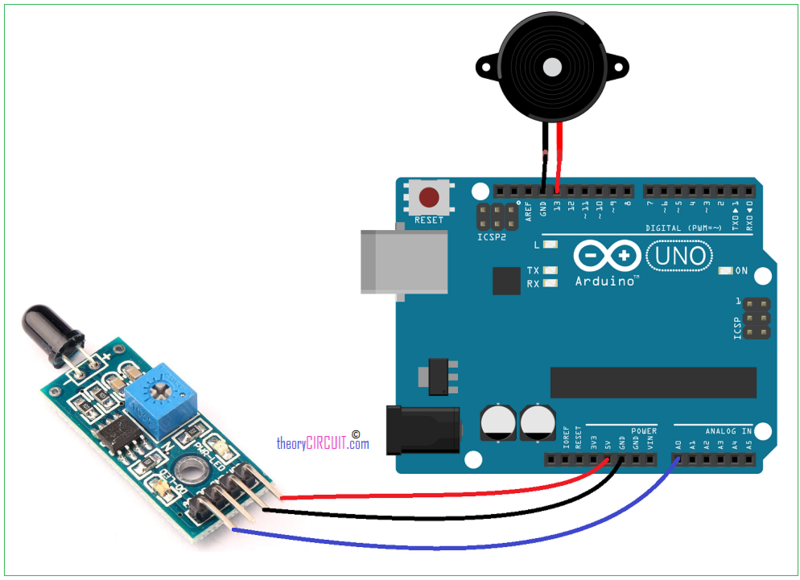 Connect as per the hookup diagram give power supply from the power source of Arduino board. connect output pin of flame sensor to the Arduino GPIO pin, and upload the following code as per your wish. can we know the the distance how long distance the fire were detected..
plz provide me the solution for it. Correct me if I’m wrong, but from the diagram, the LED will glow when the output goes LOW, so I will guess the output goes low when a fire is sensed. Your code however senses HIGH, what is really going on here? Circuits senses candle flame or some other white emitting light sources but not natural gas flame. I think it happens due to difference of the frequencies of the sources. How will it be possible to sense natural gas flame?